Dr. Bryant was one of eight dentists inducted as a 2011 AAID Fellow. As you know, Dr. Bryant has a long list of credentials and achievements in recognition of his skill and knowledge in all aspects of prosthodontic, cosmetic and implant dentistry. The American Academy of Implant Dentistry (AAID) is a 61-year-old professional organization dedicated to advancing the standard of care for comprehensive implant dentistry around the world. Annually, the AAID reviews members’ credentials, experience and other factors, and based on that extensive review, honors a select few with Fellowships. 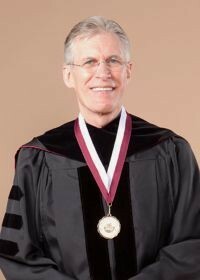 In 2011, Dr. Bryant became one of eight dentists to be inducted as a Fellow, a credential held by only 304 dentists worldwide. This honor followed his receiving Diplomate designation from the American Board of Oral Implantology/Implant Dentistry (ABOI/ID) the year before. The ABOI/ID Diplomate designation symbolizes the highest level of competence in implant dentistry. Certification by the ABOI/ID attests to the fact that a dentist has demonstrated knowledge, ability and proficiency in implant dentistry through a rigorous examination process. Dr. Bryant’s AAID Fellowship was announced last October, during the AAID’s 60th annual meeting in Las Vegas, Nevada. This designation further reinforces Dr. Bryant’s reputation as a world-class implant dentist.